levels of asthma and heart disease. African American, Asian-American and Latino communities have some of the highest rates of asthma. 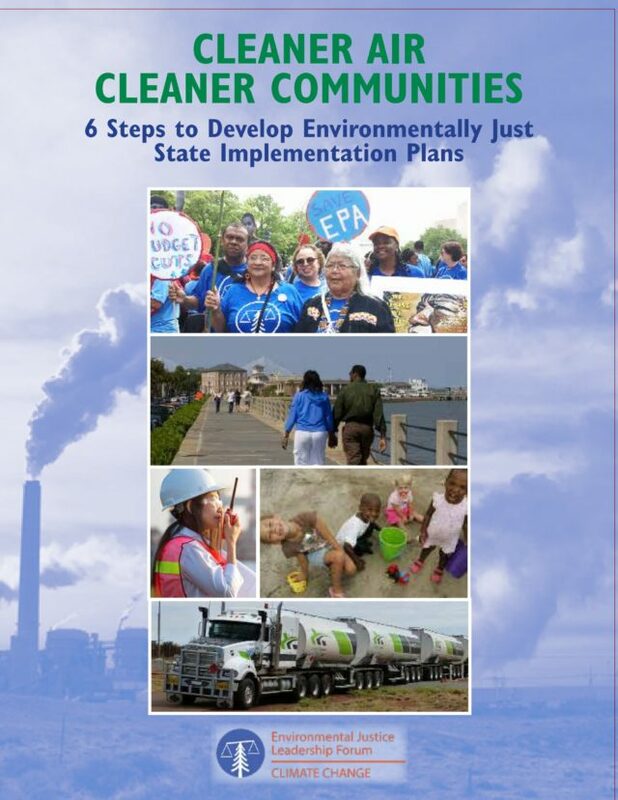 Cleaner Air, Cleaner Communities: 6 Steps to Develop Environmentally Just State Implementation Plans was created to provide state agencies, local governments and community-based organizations with a step-by-step process, tools and case studies to integrate environmental justice considerations into Clean Air Act State Implementation Plans (SIPs). The Clean Air Act SIP is a federally-required plan under the Clean Air Act that describes how each state will reduce criteria air pollutants to meet the National Ambient Air Quality Standards (NAAQS). The SIP provides a consistent opportunity for communities to engage in clean air policy.